Jiggle Balls & Ben Wa Balls are a great way for women to tone up their pelvic floor muscles and increase your orgasms at the same time. Some women prefer the original classic balls for their rocking motions and easy insertion, whilst some women prefer the vibrating types. FREE shipping to the UK. Double your arousal with these Executive Love Eggs from Seven Creations. 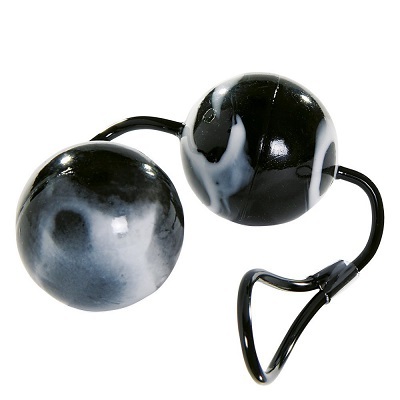 Achieve stronger orgasms & strengthen your pelvic floor muscles with this Double Kegel Ball Set. An interactive pelvic floor trainer that uses an App. Designed to strengthen the Vaginal Wall & PC Muscles whilst giving pleasure at the same time. These Glass Love Balls will provide hours of fun & pleasure whilst strengthening your muscles at the same time. 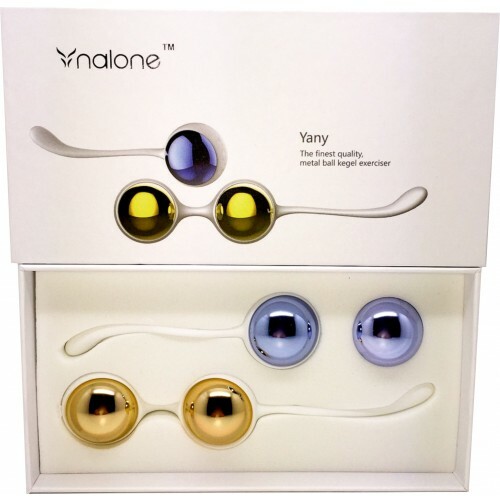 Plug in and play Kegel Balls perfect for vaginal strengthening & stimulation. Marble textured Ben Wa Balls for your pleasures and sexual health. Improve vaginal tightness and climatic strength with these Silicone Jiggle Balls from the Fifty Shades of Grey Collection. Luxury Kegel Balls crafted from high quality aluminium, great for those women who only want the best. Experience total luxury & pleasure with these Premium Pleasure Beads from LELO. Experience Ana’s pleasure first hand with these Silicone Weighted Balls. Insert these Silky Silicone Love Balls for amazing vaginal pleasures. Recieve sensational amounts of pleasure whilst toning your Pelvic Floor Muscles at the same time. Silky smooth & made from quality silicone, these 7″ love balls will send you over the edge in no time. These Nasstoys Ben Wa Balls are made from the softest velvet touch rubber. Black Silicone Love Balls with inner rotating bullets for your pleasures.